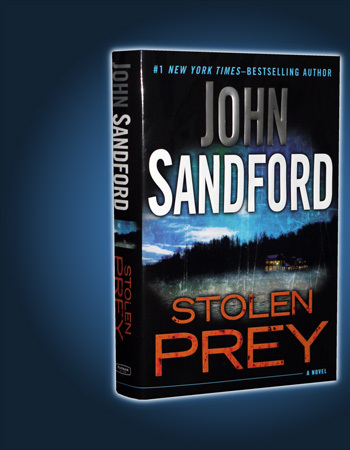 I’m on a roll with some books that feature a lot of action, starting with John Sandford’s latest in the Lucas Davenport series, Stolen Prey. 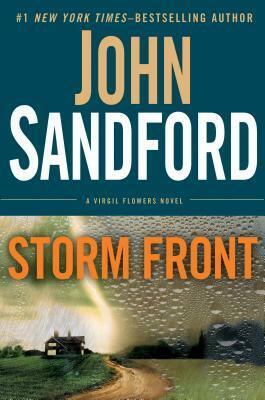 It’s a great read and Sandford keeps the tension high and the action coming. Particularly cool is that the plot features his adopted daughter, Letty. Letty was the smart but wild (bordering on the feral) 12-year-old introduced in 2004’s Naked Prey. You’ll note it’s been eight years, but Letty (and presumably Lucas) has only aged three years. Generally, it’s not critical to read the Davenport series in order – each one is strong enough to stand on its own – and while many of the characters evolve, it’s not a giant deal since the plots are pretty Lucas-centric. In this case, however, I definitely would recommend going back and reading Naked Prey if you haven’t had the pleasure. In that novel, Letty is a surprisingly fresh and fully realized character, maybe a bit over-quirky, as a child who has grown up fast because she had to. 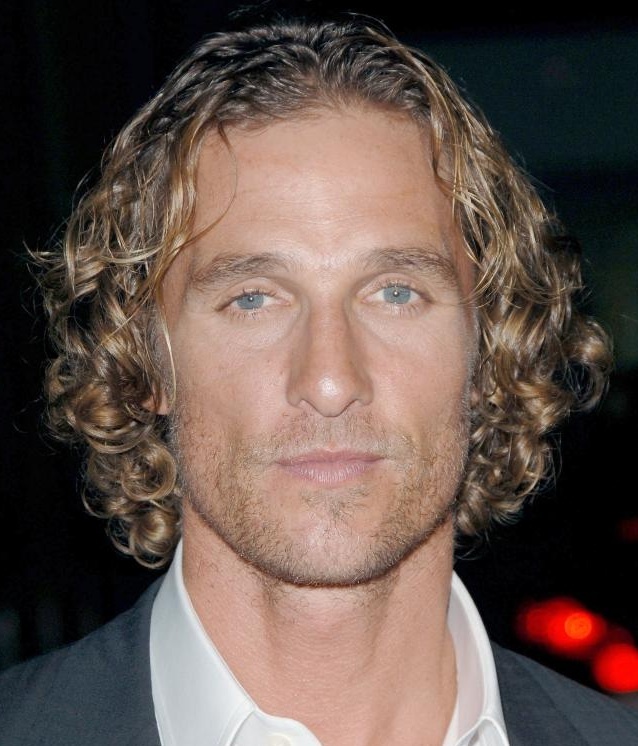 She and Lucas develop a bond and it’s no surprise when, after Letty’s mother is killed, she comes home with him. Fast forward a few years, and in Stolen Prey, Letty’s a teenager. Dealing with her mother’s death wasn’t easy, but high school is a snap and she loves her new family, including baby boy Sam. She’s sympathetic and somewhat vengeful when dad Davenport is mugged at the ATM. And she’s quick-thinking and ruthless when Mexican hit men target Davenport in an effort to prevent him from solving the murder of a software entrepreneur and his family. 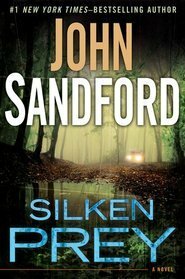 The crime story in Stolen Prey is inventive and engaging, and while many authors go with the first person POV in this type of novel, Sandford really makes the most the third person and multiple points of view. The suspense builds throughout and the threat feels very real. 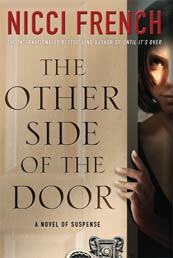 The book is fast-paced and violent, and if you like your crime on the cozy side, it’s not for you. If you’re made of sterner stuff, you’ll enjoy this one. Firstly, I do love me a thriller. The author line-up was phenomenal. Lee Child, Karen Slaughter, John Sandford. And more. And it’s not just for fans, it’s got great stuff for writers, including agent pitch sessions. Think CraftFest and AgentFest. Finally, it’s in New. York. City. Like many, I heart New York. Of course, all the good stuff doesn’t come free. As with the Broadway vacation I took with my son in the spring, it adds up quickly. The cheapest thing was to attend only the Awards banquet at $197. 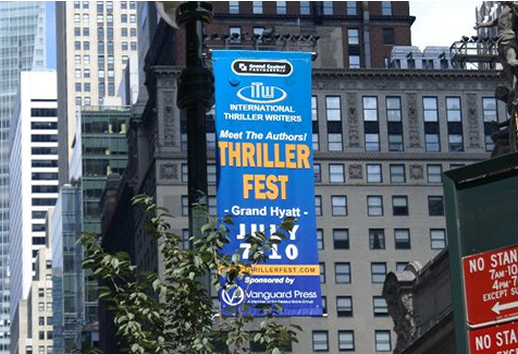 Attending the whole kit-and-kaboodle (ThrillerFest, CraftFest, AgentFest and the banquet) was $899 if you make your plans and pay the fees nine months in advance. Must clear my calendar for July 2013 and save my pennies. 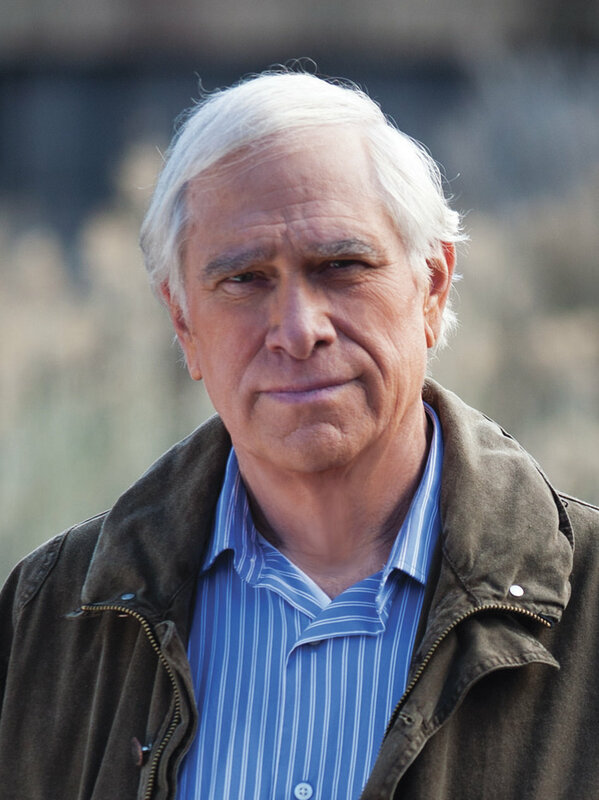 John Sandford celebrates the maturity of his “prey” series – 21 novels featuring Minnesota cop Lucas Davenport – with a look back at the past. Construction workers have uncovered the plastic-sheathed bodies of two little girls under a concrete slab, and by so doing, uncover an episode in Davenport’s past that has nagged at him for many years. And thus the reader slides back to 1985, getting a view of Lucas as a uniform cop, sharp, headstrong, and willing to bend the rules, but still young enough to be willing to set aside his own instincts for the advice of wiser and more experienced colleagues… plus the promise of the career path he desires. It wasn’t really a quid pro quo, but it was definitely understood that making waves wouldn’t do. It suited everyone’s interests to consider the case closed with the death of the main suspect. This is Lucas pre-Weather, pre-kids, and well before the big bucks that came his way as a video game developer. In fact, in Buried Prey, Lucas is fooling around with his second game and isn’t expecting any big payoff. He’s still a devil with the women and a loyal friend. As I mentioned, the girls’ kidnapping was closed when the suspect died, but the mystery lived on. The discovery of the girls’ bodies led to the realization that the suspect couldn’t have committed the crime, and Davenport’s left with a sick feeling… not only did he miss the opportunity to solve the case 25 years ago, but there’s every likelihood that the real bad guy has been out there, attacking little girls, year after year. And so he has. Davenport rejoins his old colleagues to unearth the truth and finds several cases with the same MO… including one where the girl got away. The killer, cunning but not all that smart, is backed into a corner and is forced to kill again to cover his tracks. Despite his deep-seated preference for knives, he comes out guns blazing and there’s a resulting shocking death (I’ll say no more). Needless to say, the criminal gets his comeuppance. 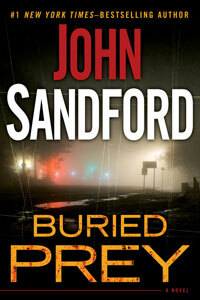 Buried Prey will be a hit with Sandford fans and new readers alike. Although I’ve read and enjoyed the other books in the series, you don’t need to read them all in order to understand the relationships or the backstory in this one. It’s fun to see the young Lucas… like many crime novel heroes, he has a tendency to be smarter, suaver, and bigger than life. In this one, his flaws show. Hey, Lit Fest Tomorrow! Be sure to go! I’m totally excited except for the fact that the weather forecast has changed and now SUNDAY is the sunny day. But I’ve got tickets to stuff and I’m planning to meet my long-time friend Anne there, so I will just stick an umbrella in my tote bag (along with an extra book bag) and get myself on the el. It will be fun no matter what. Gotta admit it, I like that Virgil Flowers. He’s got a way with the women, but he’s a love-em-and-leave-em kind of guy. He gets called in on the interesting cases and he’s not above bending the rules. Plus, John Sandford is as smooth a writer as they come. Here’s a sample from Bad Blood, wherein a good kid murders a bad man. With Flood profoundly unconscious, or maybe already dead, Tripp lifted the man and pushed him into the grain flow, face up, reached out, and pulled his mouth open. Soybeans were spilling from the truck like water from a pitcher, flowing around the unconscious farmer, filling his mouth, nose ears. They gathered in his eye sockets, and in his shirt pockets, and in the John 3:16 hat. They squirted down into his overalls, slipping through the folds of his boxer shorts, hard and round, looking for a resting place in a navel or a fold of skin. That’s some nice writing. I like the flow of the words, the rhyme of sockets and pockets, the way his words make you feel the ever-rushing trickle and flow of the beans that will finish the job. 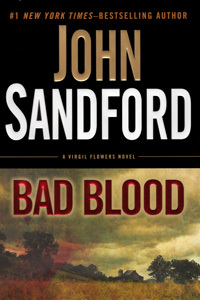 Bad Blood is a police procedural, of course, and it’s more of the how-do-we-prove-it than the who-did it variety. Once the pieces fall into place and you think you’re just going to march through the rounding up of the bad guys, Sandford surprises you with a genuinely scary twist. The book is an engaging read and well-crafted, the characters are likable, but I never really got emotionally connected with the evil of the crime. Sandford’s characters say it’s horrible and talk about the fact that the victims are damaged, perhaps irretrievably… but the only victims we actually see don’t draw you in and make you see the horror. These are girls, ages 12 to 15, who are matter-of-fact about what occurred to them and that they didn’t like it and we are supposed to be struck by how insane they must be to be so calm. Plus, since we do not get the characters’ thoughts – just what they say and do – it’s easy to stay disengaged. Overall, Bad Blood is well worth reading. A quick look at the average rating on Amazon shows it a 3.6 out of 5 – I think that’s a bit low!